The Bell Beaker Culture was a Bronze and Copper Age culture that existed in areas scattered across Central and Western Europe, including present-day Britain, France, Spain, Portugal and Germany. It was strongly associated with the Corded Ware Cultures that appeared around the same time and in the same regions . The Bell Beaker culture is typically identified by the presence of characteristic bell-shaped decorated pottery, but certain other materials are also often associated with people from this culture, including arrowheads, copper daggers, and v-perforated buttons . 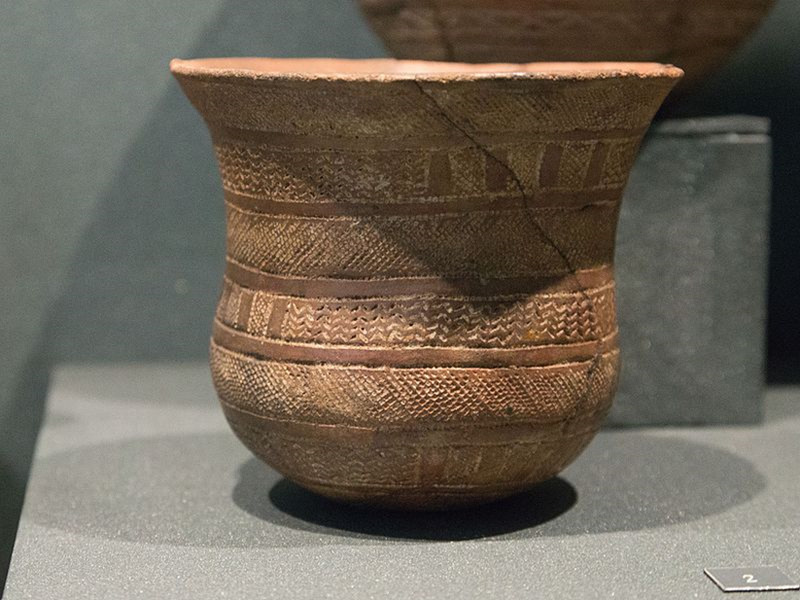 In the Netherlands in the Earl and Middle Bronze Age, there were two distinct types of agriculture – one belonging to the Bell Beaker Culture and Funnel Beaker Culture, and one belonging to the Neolithic Protruding Foot Beaker Culture. The latter made large clearings to provide their cattle with sufficient clearing ground. Analysis of the pollen from burial mounds suggests that agricultural sites related to the Bell Beaker Culture were more common in the south of The Netherlands . However, some Bell Beaker ceramics have also been found as far north in The Netherlands as Amsterdam, suggesting the Bell Beaker people at least moved through the north . The appearance of the Bell Beaker and Corded Ware Cultures of Europe have proven to be enigmatic in the history of the continent. Both were remarkably uniform cultures that spread quickly across broad swathes of the continent, with evidence that the Corded Ware peoples migrated from the east, although there has been much debate of where these cultures came from. They are now considered to have originated in the Pontic Steppe region of what is now Ukraine and Russia, between the Caspian and Black Seas [10,11], however some authors argue that the Bell Beaker culture originated near an estuary of the river Tagus, of the Iberian Peninsula . The people that are believed to be source of the Corded Ware Culture were the Yamnaya, a named derived from the Russian for the pit burials that were found in present-day Ukraine and Russia . All the individuals in this sample were found at the site of Oostwoud-Tuithoorn, in present-day The Netherlands. The individuals in this sample were carbon dated to between 3,697 and 4,579 years old . The site consists of two burial mounds of clay sediments, making for excellent preservation of the individuals. At one point, a line of pits likely connected the two mounds. The use of mounds and pits suggests that this was a permanent settlement. The burial mounds were probably used for several generations by a local group . If they did not live in the immediate area, it is likely they lived nearby . There is abundant evidence of Late Corded Ware settlements, but few associated Bell Beaker pottery remains. Three of the males in this sample were second- or third- degree relatives. The land was probably once converted to arable land. All female individuals were buried on their right side, facing west or north. All male individuals were buried on their left side, facing south. Both males and females were buried in a crouched position typical of Beaker burials. Although some Bell Beaker sherds were found in the surrounding area, with typical Bell Beaker decorative motives , no burial gifts were identified . The Bell Beaker people living in this area appear to have had plots of over one hectare which were ploughed regularly (plough marks are present). In addition, they fished, hunted and caught birds . Four of the individuals in this sample belonged to the mitochondrial haplogroup U, which was the most common haplogroup among European hunter-gatherers of the Paleolithic and still exists in Europe today although at lower frequencies due to the genetic contribution of incoming European farmers . Two of the individuals belonged to mitochondrial haplogroup K, which is common in Europe today and was recently derived from U . Three of the individuals belonged to mitochondrial haplogroup H, which is also commonly found in Europe today and is known to have Middle Eastern origins. It has been found in Mesolithic hunter-gatherers, and existed in Europe prior to the arrival of agriculture . One of the individuals belonged to the mitochondrial haplogroup R, which is a common haplogroup worldwide today. It is believed to be a split from the N haplogroup, which appeared in Africa in the Paleolithic . One of the individuals belonged to the mitochondrial haplogroup X, which is found today in lower proportions in Europe but higher in West Asia. It has also been found in Native Americans. This large geographic distribution suggests it appeared in the Paleolithic [24,25]. 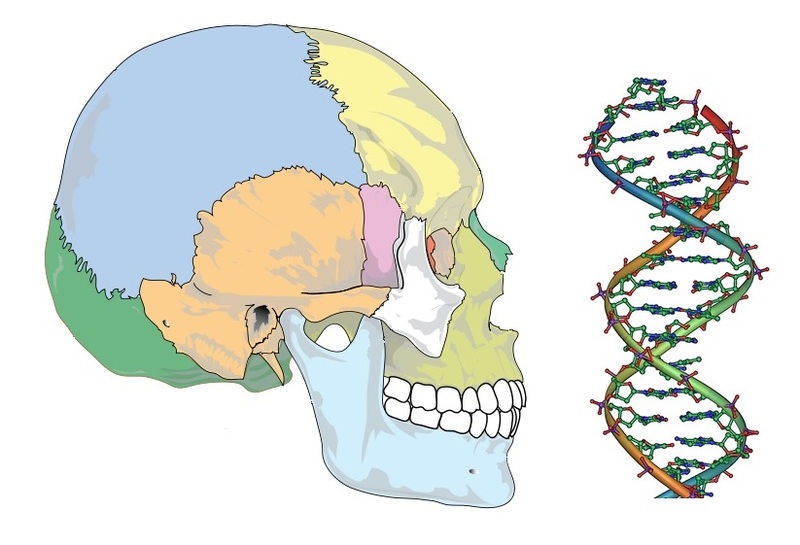 All seven males in the sample belonged to the Y-chromosomal haplogroup R, which is thought to have arisen in southeast Asia during the Paleolithic. Today it is widespread around the world .